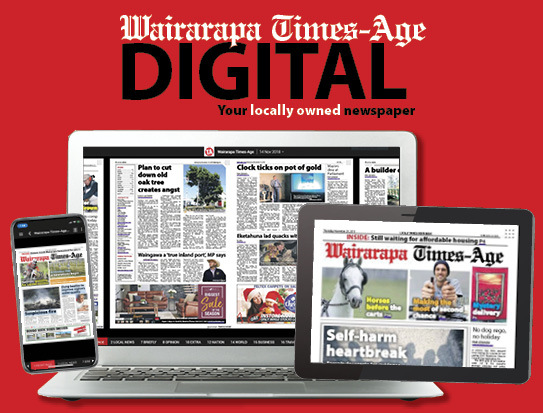 Cohen Walford, 11, will be wearing a daffodil for his mum this Friday on Daffodil Day, raising awareness of the cancer battle many Wairarapa people face. His mum, Rachel Walford was given three to six months to live in 2015, when she was diagnosed with a rare form of lung cancer, despite having never smoked a cigarette in her life. The fact that she is still here enjoying life with her family is a blessing, she says. 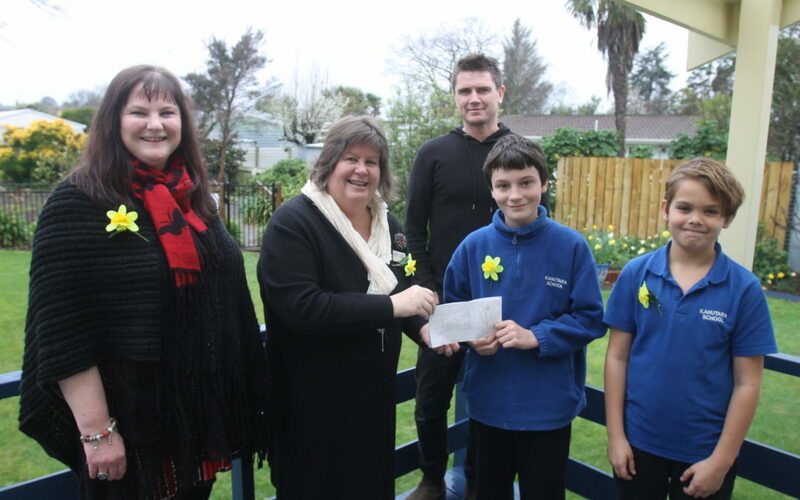 Cohen, a pupil at Kahutara School, has raised $5734 for the Wairarapa Cancer Society, handing over the cheque last Thursday with his friend Devyn Urlich and teacher Ben Milne. He had raised the money through a bike-a-thon aimed at boosting awareness around cancer. His original target had been $500. “My favourite part of the day was probably using the loudspeaker and yelling out encouragement,” Cohen said of the bike-a-thon. Devyn chimed in that whenever someone fell off their bike or hurt themselves, Cohen would turn on the loudspeaker siren. He said he was proud of what his friend had done. And so was Cohen’s mum. “I am so proud,” she said. When asked who she would be wearing her daffodil for on Friday, she said she would be wearing it for “everybody that has had to go through this”. Teacher Ben, who was supportive of Cohen from the very beginning said he would be wearing a daffodil for his own mum. He said he wished he had done something like what Cohen had done at his age. 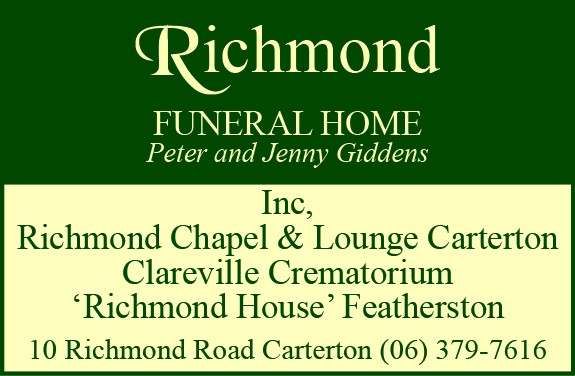 Wairarapa Cancer Society centre manager Jacinta Buchanan said the amount raised by Cohen was “amazing” and the money would go towards outreach services in Wairarapa. Daffodil Day is on Friday, August 31.